Posted on December 7, 2018 by treelawyer	tagged. 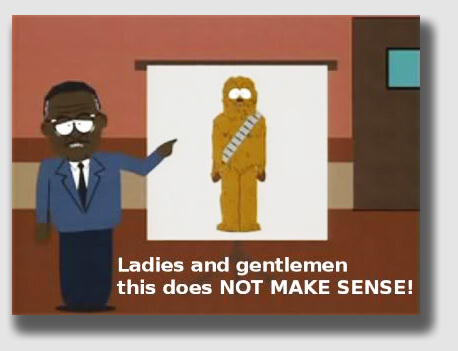 The news report noted in yesterday’s “And Now the News” feed nagged at me all day. You recall, the report that an Elkhart, Indiana, resident got up one morning to discover that the City had cut down a beautiful 33-foot spruce in his tree lawn – that strip of grass between the sidewalk and street – for use as the municipal Christmas tree. The thing about a right-of-way, which is simply one flavor of an easement, is this: the political entity (we’ll just say “City” here, because that’s the bad guy in the news report) is entitled to use the right-of-way for an intended purpose, a highway. If there comes a time when it ceases being a highway, the right-of-way is extinguished, and the landowner is free to use the property all the way up to the centerline of the old road as he or she wishes. And that’s what bothered me so. No one would question the City’s right to remove a tree that somehow created a hazard to the public using the highway. That is simply a reasonable exercise of the City’s privileges under the easement. But here, the City decided to save a few bucks by cutting down a free Christmas tree, not to facilitate use of the highway but instead for the purpose of decorating another part of town. Maybe so, but the City should not be imperiously telling people that it owns the trees in the tree lawn. It can do what it likes with the tree lawn, as long as the act is reasonably related to the purpose of its right-of-way. But it does not “own” the trees. 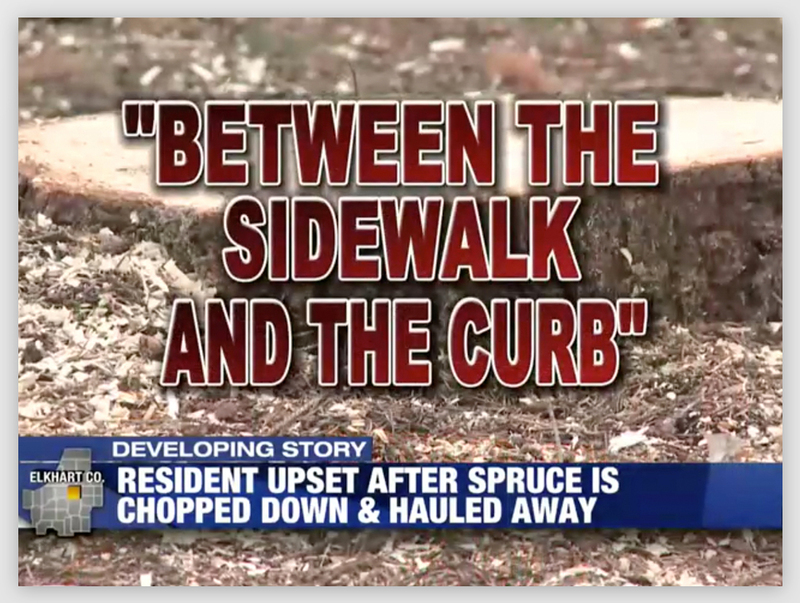 While I was researching the issue, I stumbled across the obverse situation, where a homeowner who was hurt by a falling tree in the tree lawn blamed the City for not reasonably using its right-of-way, more particularly, not properly discharging its duty to inspect. Czaja v. Butler, 604 N.E.2d 9 (Ct.App. 3rd Dist. Indiana, 1992). Karen and Joseph Czaja lived along U.S. Highway 6 in Butler, Indiana. 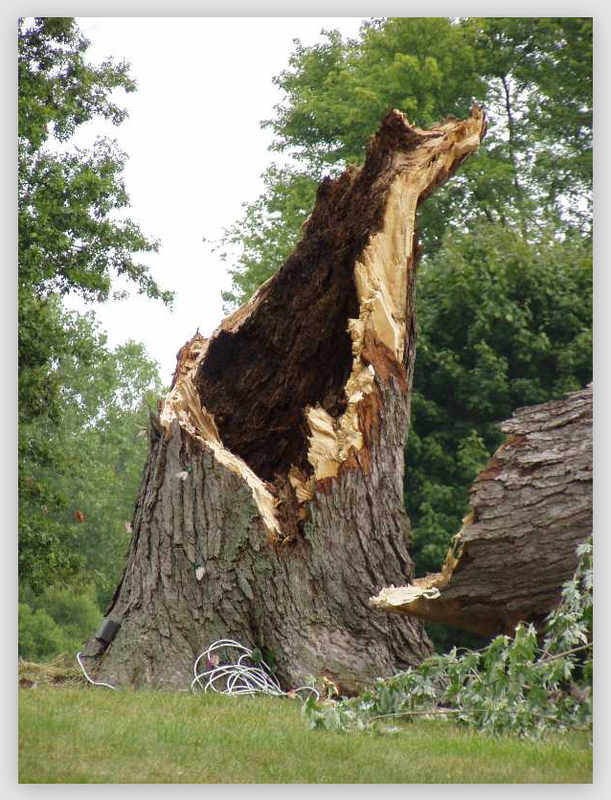 There were three trees located on the State of Indiana right-of-way in the front yard of their home. On January 25, 1990 two severe storms blew through the city, causing severe damage in the area and blowing over several trees. The first storm dropped a 12” diameter limb from one of the trees in Czajas’ front yard onto U.S. 6. The City removed it after the first storm passed through. But later in the day, a second storm hit. Karen was returning from picking her children up from school during the storm. As she was waiting to turn into her driveway from the street, the tree closest to her driveway fell on top of her car, injuring her. The storms that day caused extensive damage. Roughly eight whole trees were uprooted or broken off, and many others lost large limbs or parts of their trunks. The Czajas sued the City, alleging city employees were negligent in failing to inspect the tree in front of the Czaja home and in failing to remove the tree which the city knew, or should have known, was dangerous. The City moved for summary judgment, which the trial court granted. Held: The City was not negligent. The City’s evidence described the storms’ intensity that day, including the facts that eight trees were blown over, four other cars were struck by fallen trees and an uprooted tree fell onto the roof of the Butler Quick-Mart. In addition, it filed deposition testimony of the City superintendent that he inspected the Czajas’ tree the following day and found that while the core was rotten to within four inches of the outside diameter of the tree, there were no outwardly visible signs that any part of the tree was dead or rotten. The evidence showed that before the tree fell, the superintendent had no actual notice that the tree was rotten. The tree had green foliage two years before when Joe Czaja spoke to him about removing it so that Czajas could widen their driveway. In their depositions, the Czajas both admitted that before the tree fell, they had no reason to believe that the tree was likely to fall. Nevertheless, at the trial court, they pressed the argument that the City had an absolute affirmative duty to maintain an inspection procedure concerning all the trees located in its right-of-way along the highway. The appellate court rejected the Czajas’ position, holding that while the City has a duty to keep its streets reasonably safe, the duty is only triggered when it has actual or constructive knowledge of the dangerous or defective condition. Here the City’s established it neither had knowledge that the tree was defective, nor did it have any reason to know the dangerous condition of the fallen tree. All the Czajas were able to show was that during the years they had lived there, dead branches occasionally fell from the tree, the sidewalk had buckled from tree roots, and some erosion showed next to the curb near one of the trees.